Demand that the UK’s largest prisoner newspaper cease their censorship of IWOC, a grass-roots prisoner union for all incarcerated workers by signing this petition. Inside Time, the most-read newspaper for prisoners, is refusing to publish articles or advertisements about a grass-roots prisoner union, which is fighting to improve prisoners’ lives. 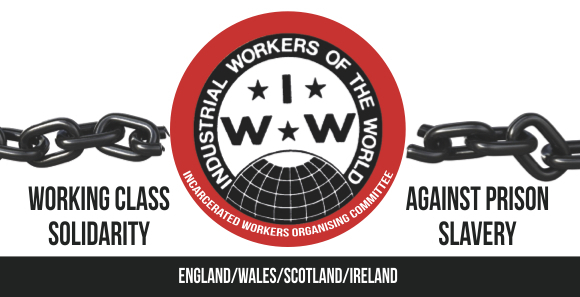 The Incarcerated Workers Organising Committee (IWOC) is a part of the Industrial Workers of the World, an international union founded in 1905. We are made up of ex-prisoners, family members of prisoners and supportive union members. We started to try to give prisoners and those that have been affected by the criminal justice system a voice in the UK and to support them to organise inside and outside of prison. As prisons are notorious for breaching human rights and for increasingly exploiting prisoner labour, we feel it is a necessary step that prisoners are supported to organise and access solidarity from people on the outside when trying to challenge their conditions. Membership is free for prisoners. For people leaving prison, union membership allows them to meet people in their local areas, access support for grievances in their workplaces when needed, access free training and education, and more. For those inside, they can access support, pen-pals and receive and contribute to literature produced by the Union worldwide. Despite the clear benefits to prisoners and those affected by the system, Inside Time, the national newspaper circulated in prisons has rejected our attempts to pay for advertising in its paper. Over 60,000 copies of each issue of Inside Time are distributed to all prisons and special hospitals plus many secure units and hostels throughout the UK. Historically it has published a wide range of articles, including those critical of the prison system. Inside times may allow prisoners to complain and voice the things that are done to them in prison, such as abuse and neglect, but they seem quite uninterested in giving space to groups and projects that attempt to create or organise for solutions to these problems. We cannot see why Inside Time would reject IWOC, a project initiated by ex-prisoners, and censor its outreach to prisoners. We believe the benefits to prisoners are clear and that they should be allowed to make their own minds up as to whether to apply for membership following reading about us in the newspaper. We are calling on the Management Board of Inside Time to re-consider their discriminatory position and allow us to advertise in its publication.